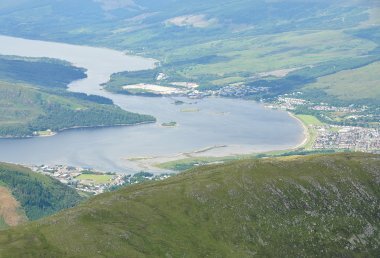 Fort William is located at the foot of the highest mountain in the UK, Ben Nevis. 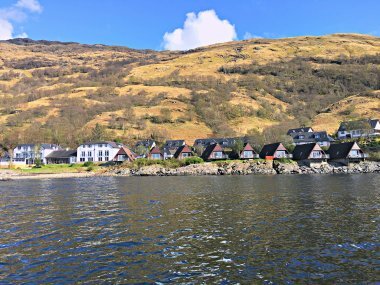 The surrounding area is very beautiful with mountains and glens, forests, sea lochs and of course – the Caledonian Canal. All these features provide a vast resource of outdoor recreational activity opportunities. 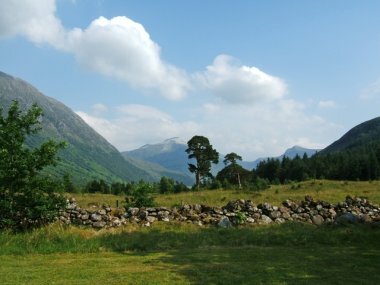 With easy access to Ben Nevis and Nevis Range for skiing and mountain bike trails, Great Glen Holidays is a quiet rural retreat secluded amongst natural woodland with spectacular mountain views 3 miles from Fort William, the 'Outdoor Capital of the UK'. Pets welcome. 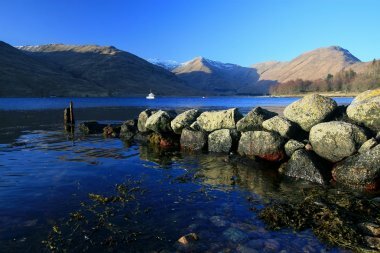 This beautifully property is situated on the tranquil shores of Loch Leven, surrounded by the majestic mountains that frame the valley of Glencoe, near Ballachulish. Ideally suited to families and couples looking for something really special. A bijou apartment conveniently situated in a residential area of Fort William, close to the town centre. Views of Loch Linnhe. Bright, modern and spacious interior, suitable for a family of four or up to four friends. 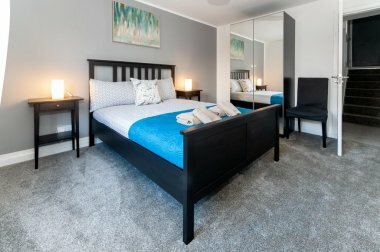 Ben Nevis View is a modern, well equipped self-catering apartment perfect for those exploring Fort William and the Highlands. 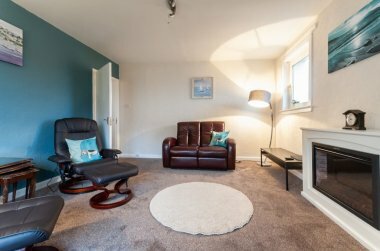 It has an open plan living area with 28" TV with Freeview and DVD player, WiFi, a double bedroom and comfortable corner sofa bed in the living area. 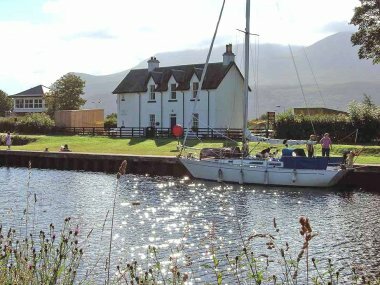 Two delightful cottage apartments situated on the Caledonian Canal at Banavie, Fort William enjoying views over the Canal, Neptune’s Staircase, Ben Nevis and the steam railway used in the Harry Potter films. Both apartments have cozy open fires. 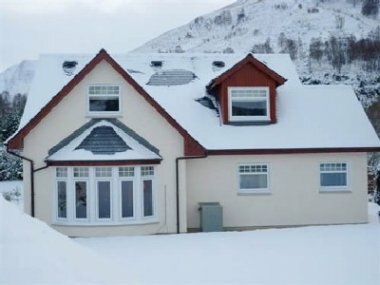 This detached house is resting near the village of Spean Bridge, close to Fort William, and can sleep ten people in five bedrooms. 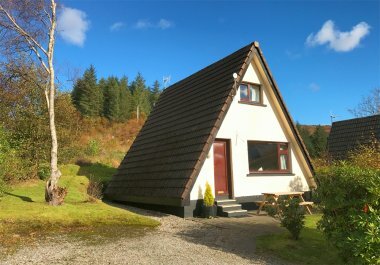 The small community of Bunree, 8 miles south of Fort William and 6 miles north of historic Glencoe, has long been known as a peaceful, secluded, very scenic holiday destination in our well appointed self catering accommodation. 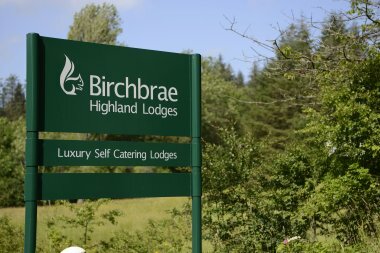 Kingairloch offers a selection of high quality, unique self catering properties located throughout 14,000 acres. 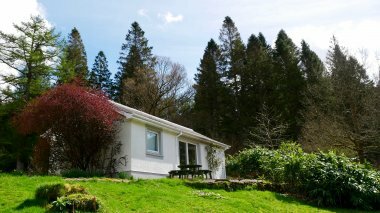 All properties have stunning views of either lochs, mountains and in most cases both. Guests can also see a rich wildlife population and enjoy fantastic walks along footpaths. 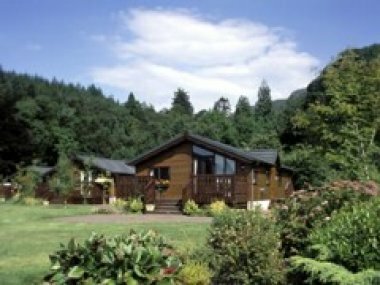 Kinloch Lodge Glencoe is a five star beautiful holiday house which is furnished and equipped to the very highest of standards. 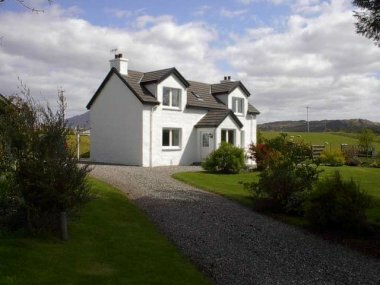 A wonderful location with fantastic views over Loch Leven to the Mamore hills beyond. 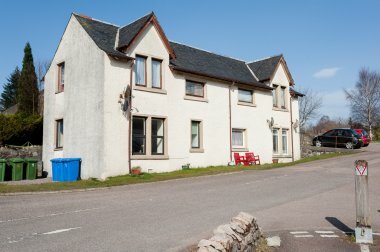 This first floor apartment is located in an isolated position near to Fort William and can sleep six people in four bedrooms.